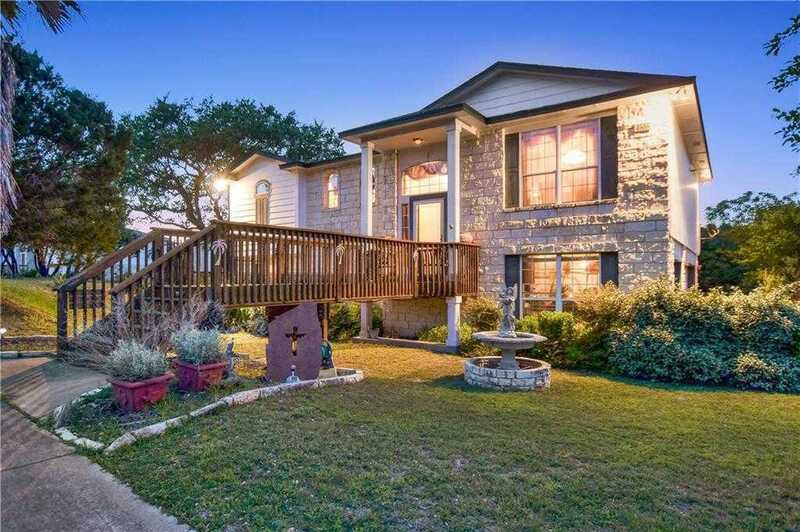 Homeward Bound Image Views of Lake Travis!Golf and Country Club with access to Lake Travis and parks. This home x2019;s majestic trees contribute to its privacy. An oversized family room opens to an expansive covered deck. The kitchen features a convenient island and an abundance of counter and cabinet space. The bar area and kitchen are open to a Great Room and are ideal for serving appetizers while visiting with guests. Your private Master bedroom has access to a gorgeous, elegant bath. I would like to schedule a private showing for this property: MLS# 6312756 – $325,000 – 4506 Rimrock Dr, Lago Vista, TX 78645.